Shane 54 is the Trance/EDM moniker for Hungarian producer/recording-artist, Elod Csaszar. Having had a prior career as a pop artist in Hungary, the Shane 54 project came into prominence following a number of remixes and co-productions for European artists, including Spandau Ballett, DJ Sterbinsky, and Cosmicman. An original song titled, "Souvenir DE Chine" was released via the label, Afterglow, and included a remix by Stargaze. With the Stargaze remix receiving support from Armin Van Buuren, the Shane 54 project gained more local momentum which led to more remix work, including a remix for "Unity of Earth 2002" by The Scarab vs. Inzite and "Ibiza Sunrize" for Labworks. In 2008, Shane 54 and fellow Hungarian producer, Myon teamed together to form the duo, "Myon and Shane 54." The duo split in 2016, with each pursuing their respective solo careers. 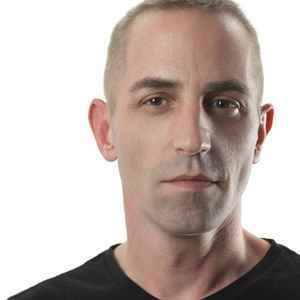 Shane 54's solo material first appeared on Nettwerk Records ("Paradise" and "First Time") with his third single, "Return to Love" signed to Armada. The nu nrg remix of this shane's track 'vampire' (ft. Carrie Skipper) is my all time favorite trance track. Such a shame it never saw a release.